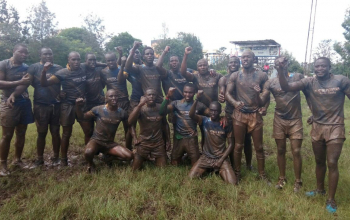 Unbeaten MMUST RFC hit Kitale 27-6 on Saturday 19 May in Kakamega to be crowned the 2017/18 Nationwide league champions. They led 22-3 at half time. 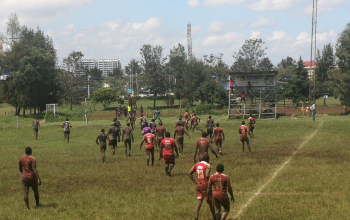 To book a place in the final MMUST beat Eldoret RFC 30-5 as Kitale dismissed home team Swara 12-5 in the other semi. Those two wins earned both sides promotion to the second tier KRU Championship next season. MMUST paraded a 15-game unbeaten streak and remained unblemished against Kitale to make it 16 on the trot. 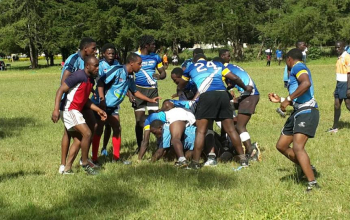 Five tries; a brace each from skipper Mbeche Samuel and Elvis Amunya and one from Oksai Derrick, plus a conversion from Claus Masika delivered the title for MMUST.